Aquarius is the 11th sign in the zodiac. Aquarians are depicted in astrology as the water bearer, but make no mistake, this is no water sign. The Aquarius man is made of the element of air, which means he’s a thinker. When tackling any situation he naturally chooses thought as a first reaction rather than responding emotionally. He is intelligent, determined and quick-minded, so it shouldn’t be surprising to learn that the he is usually one step ahead of everyone when it comes to solving a problem or making the next move. Still, the Aquarius man has a heart and he can be sensitive. How he thinks, feels and even his personal style, make him one of the more unique signs in the zodiac. Inside that Swiss-movement mind of his, the Aquarius man is a forward-thinker and he often has his mind on the far future. He’s also adaptable and quickly learns how to make inevitable changes work to his advantage, but that’s not to say that he changes his mind easily. Remember, we said “inevitable.” Part of his unusual personality is that he is both an air sign and a fixed sign, so he may see every reason to choose a certain path, but when it comes to taking action, he has to be convinced that it’s not just the best but only option. Once a change has been implemented, though, the Aquarius man’s strongest trait becomes apparent—he is adept at sustaining the status quo and keeping things alive, whether it’s a project or a relationship. The Aquarius man is an idealist. He would love a world where all of the inhabitants lived happily ever after, worry-free. The only thing he’d love more is if he were able to be a big part in making this happen. At his core, he’s a simple man with big ideas. He’s extremely creative as well as industrious, whether working on a project around the house or some creative number-crunching enabling him to buy his dream home. Once he’s started on a goal, he won’t stop until it’s completed. As a friend, the Aquarius man rocks if you love doing things on the fly simply because you’re in the mood or you have the time. He needs to feel free to do whatever, whenever. He generally likes doing quiet things, but if you wave tickets to a concert in front of his face, he won’t say no. He is fond of people who show him new things and/or have fascinating, intelligent minds. If you enjoy his unique, quirky, know-it-all style and you appreciate his philosophical mind and quick-witted humor, he’ll love you for it. The Aquarius man may have many acquaintances, but not everyone gets to call him their friend. In romantic relationships, he’s considerate and easy-going. He’ll even give up a quiet evening at home to go out and meet your friends, if that’s what makes you happy. It’s important to know, however, that he’s not one to sit around and talk about his feelings. He’d rather stay in the moment, so if you want to date an Aquarius man, you’d do best having a caring but laid-back attitude and substantial confidence. The Aquarius man would probably be the least likely to read an astrological description of Aquarius man traits, good or bad. He considers himself unique and therefore he should not to be lumped into a group, even if they are all Aquarian males. If you’re offering him advice, he’ll listen, but don’t expect him to follow it. He’s probably already thought of it, looked at it and done the research on it—no matter what the topic. Remember, he’s always one step ahead at all times. He’s probably already decided on the best approach to take, as well. And if he happens to be wrong, he’d rather find a way to make it work than admit defeat. He has more than a little trouble admitting when he’s wrong—that’s if you can ever prove he’s wrong. Thanks in part to his fixed nature, he will defend his point to the end, even in the face of irrefutable evidence. 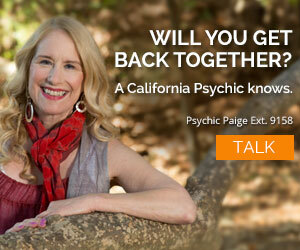 Changing his mind may be next to impossible, but getting an apology is even tougher. If you do get an “I’m sorry,” you can bet you’re pretty special and that this is quite the rare occasion. Among the most notable positive Aquarius man traits is his generosity. That’s important to note because he can often be so generous that he places undue pressure on himself—sometimes financially and sometimes emotionally, and that can turn into a problem. One thing an Aquarius man is always concerned with is his financial security. He’s tenacious in everything he does. Whether it’s a job, a project or even a relationship, he’s not one to simply walk away if it’s not working right; he’ll do what he thinks is best to fix it and keep it running as smoothly as possible. 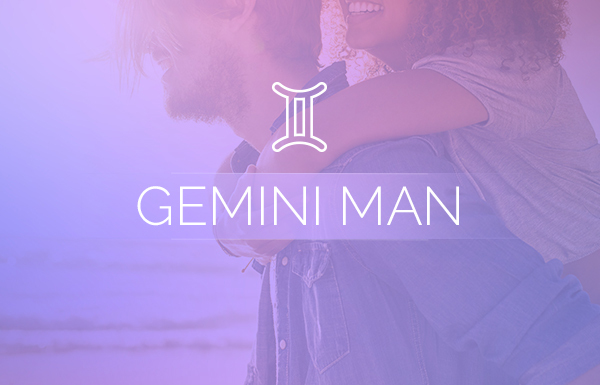 He doesn’t like confrontation, but if the other party isn’t also making changes for the greater good, the Aquarius man can become disappointed, and eventually he will throw in the towel. 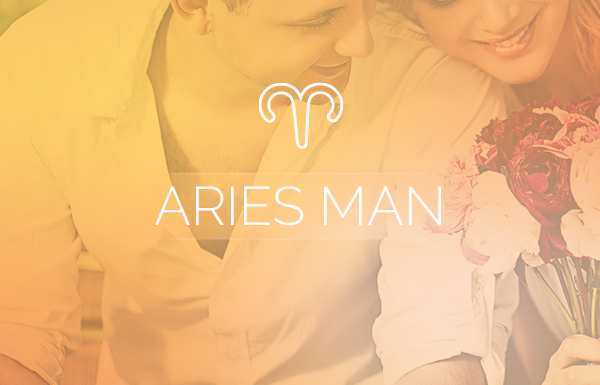 For all their practicality, the Aquarius man can actually be quite romantic. No, he won’t call you 10 times a day or text you little heart emojis, but he will show his love by showing up, being supportive and maybe even doing things he knows will make you happy, or will make your life easier. 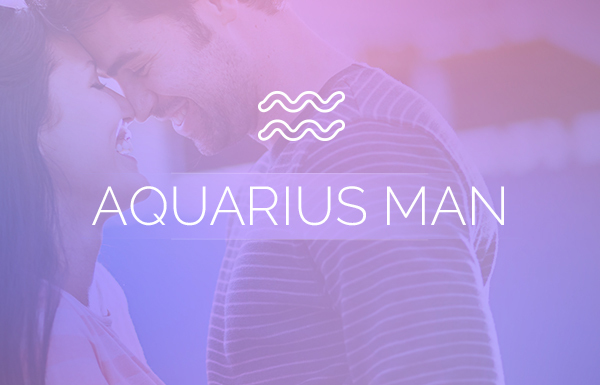 Although there are many more positive Aquarius man traits, the one that cannot go unmentioned is his loyalty to those he loves—friends, family and all of his close relationships. He chooses his closest relationships carefully and does his best to keep them forever. 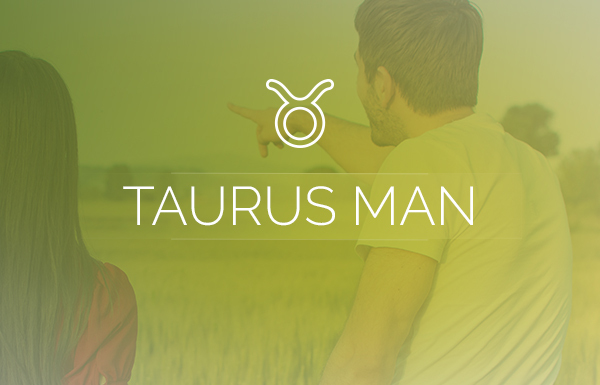 All of the signs in the zodiac are unique in their own way, but the Aquarius man traits are some of the most special. Being part of his inner circle is not an easily attainable spot, but once you’re part of his world it can make you feel like you’re part of some elite club you’ll never want to leave.